Launched in 2014, No-Kill Utah (NKUT) is an initiative of Best Friends Animal Society that, along with a coalition of 56 Utah-based animal welfare organizations, is designed to make Utah a no-kill state by 2019. Forming coalitions is no easy task but NKUT provided a vision of a common purpose that is quickly strengthening collaboration among diverse groups - and saving more lives than ever. Learn how three leading agencies are breaking live release rate records - and how you can, too. 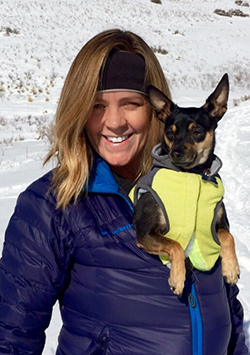 This presentation by Kathleen Toth, President of Nuzzles & Co Pet Rescue and Adoption, was recorded at the 2016 Best Friends National Conference. Kathleen Toth is an attorney who began advocating for animals in 1994 right after graduating from law school. Kathleen has worked pro bono for animal rights in Houston, Texas, with the Texas animal law section of the Texas State Bar and, more recently, as an attorney with the Animal Legal Defense Fund. Currently, Kathleen serves as local counsel with ALDF in an effort to have Utah's "ag gag" law declared unconstitutional. That same year, Best Friends formed the NKUT (No-Kill Utah) Coalition and Nuzzles & Co. was one of the first organizations to join. The organization's board of directors and management staff set out to determine the best way that Nuzzles & Co. could utilize its resources, including a 16,000-square-foot ranch in Peoa, Utah, and a storefront in Park City's busy outlet mall, to contribute in an innovative and positive way to making Utah no-kill by 2019. The organization determined that it could have the biggest impact in helping Utah become no-kill by using its resources to influence more people to adopt.